There was plenty of news relating to the QIPCO British Champions Series challengers on Saturday and Sunday. There was plenty of news relating to the QIPCO British Champions Series over the weekend. Here were the five main strands. Magical gained an impressive victory on her seasonal debut in the Group Three Alleged Stakes at Naas on Saturday. Aidan O’Brien’s four-year-old filly, winner of the QIPCO British Champions Fillies & Mares Stakes at Ascot on QIPCO British Champions Day last October, breezed clear with ease under Ryan Moore to win by four and half lengths from stablemate Flag Of Honour. MAGICAL, winner of the QIPCO Fillies & Mares on #ChampionsDay makes light work of her opposition on seasonal reappearance in the G3 Alleged Stakes @NaasRacecourse. “That was a lovely start back for her, and you couldn’t be happier with it,” O’Brien said. O’Brien has no definite future plans for Magical but further success in the Champions Series seems assured. 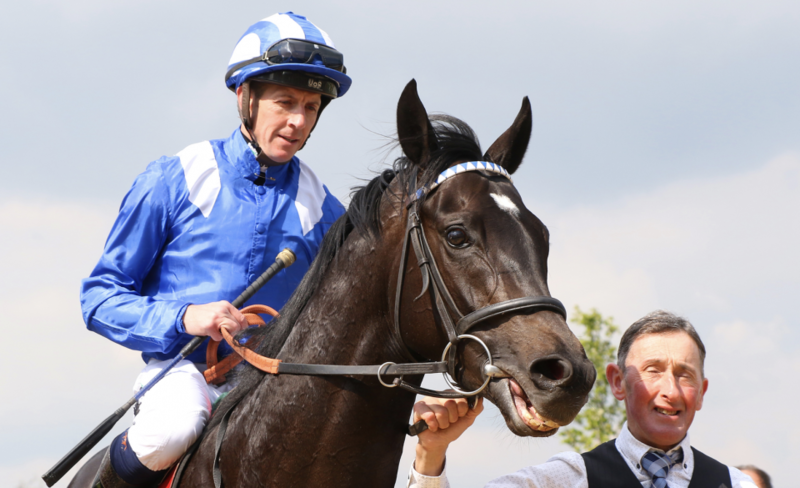 Thundering Blue is on course to make his return in the Bet365 Gordon Richards Stakes at Sandown on April 26. The popular grey finished third to Roaring Lion in the Juddmonte International Stakes at York last summer but will need a new jockey this season as his regular partner, Fran Berry, has recently retired. Derby-winning trainer Marcus Tregoning has yet to saddle a QIPCO British Champions Series winner but has a smart prospect on his hands in Mohaather, fluent winner of the Greenham Stakes at Newbury on Saturday. The colt is now a short as 12-1 for the QIPCO 2000 Guineas at Newmarket on May 4 and his trainer is optimistic about him getting the trip. The son of Showcasing is entered in the QIPCO 2000 Guineas @NewmarketRace. “I think he’ll give himself a chance to stay the mile as he settles so well,” he said on Sunday. “Hopefully, off a strong pace, he’ll be fine. Persian King advanced his QIPCO 2000 Guineas claims with an easy win in the Group Three Prix de Fontainebleau at ParisLongchamp on Sunday. Dandhu is bound for the QIPCO 1000 Guineas at Newmarket on May 5 after landing the Dubai Duty Free Stakes at Newbury on Saturday. Second in the Rockfel Stakes when last seen, the Dandy Man filly was weak in the betting and drifted out to 8-1 in the race better known as the Fred Darling but was still too good for the opposition.